Hamilton leaps back into P1 by nearly two tenths. @kathy: I don't know, possible, but then Vettel seemed to have the lion's share of luck at Red Bull over the last four seasons so swings and roundabouts. Ricciardo is clearly a class act and proof Red Bull's young driver programme isn't just about Vettel. I think the team unearthed a future world champion this year. 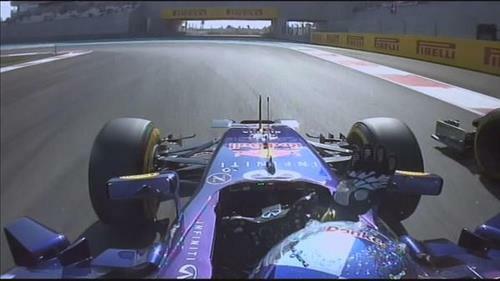 Vettel needs a change of scenery, too. Maybe Peter Prodromou took a few samples when he left. Hey , i was wondering ... Which driver in the history has lost the championship with the highest race wins for that season? @NotanF!fan: That would be seven wins - Alain Prost (1988), Kimi Raikkonen (2005) and Michael Schumacher (2006). @duggo: One. We are having an issue with our timing screen.